It is time for crazy fans to strut their stuff. Time for flags to fly. Time for painted faces and noisemakers to crowd the stands. 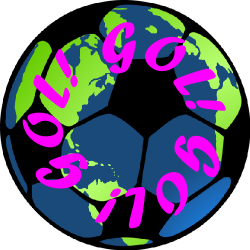 It is world cup soccer time. We do not have any broadcast TV at our house so we do not get to watch the world cup except on the computer. But it does not really matter that much. As much as I love to play sports, I am not much of a fan. Unless my own kids are playing. Still, the world cup has special memories for me. When we were kids, we watched the world cup on Grandma and Grandpa’s black and white console television. All the adults were working on the farm and my brother and I ostensibly took care of our younger brother and sister and our cousins. So we got to have some quality TV time. As we all got older, we still got out of some of the work to watch TV. And at least a couple times, we got to watch the world cup. Even though the USA was not so good at the time, we still watched and had fun watching and cheering as the powerhouses of the day played their hearts out. The best thing about the Spanish channel is that the commentators were so passionate about the games. It did not matter who was playing, they were excited. We could not understand most of their words, but we knew they were excited. And we knew at least one word. Gol! But a goal is a goal is a gol! This world cup, with no TV reception and no cable, I have not seen any of the world cup matches yet. But we are going to my parents’ house and they have enough TV coverage that we ought to be able to see at least a couple games. So maybe our kids will have some similar memories to mine. Maybe they will get out of a bit of work to watch the best soccer players in the world play for their homelands. Maybe they will remember being at Grandma and Grandpa’s house and watching the world cup. Seeing the crazy fans with their flags and painted faces and hearing their noisemakers and cheering. Maybe they will remember the announcers and their excitement as the games unfold.